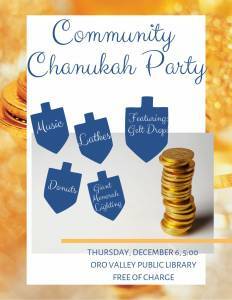 Back again for another year- the amazing Gelt Drop brought to you by the Oro Valley Fire Dept. Watch the firemen scatter chocolate coin from atop their ladder! 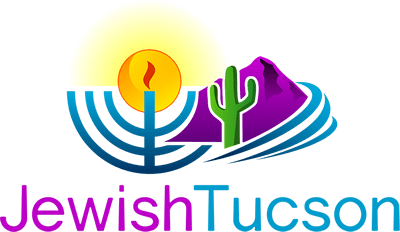 Our 7th annual Northwest Tucson Chanukah celebration always includes our giant 9 ft Menorah, music, hot latkes, fresh donuts, free photo booth and fun for the whole family!